In all industries the possibility to automatically ensure quality and to prevent and detect fires is of vital importance. The solution can be a fixed infrared camera that monitors your process or asset continuously, detecting minute temperature differences in a 24/7 manner. This methodology has been implemented in a wide range of industrial automation applications all around the world. Introducing FLIR's latest resource, the IR Automation Guidebook. Click here to download a FREE copy! 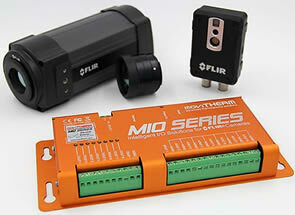 The MoviTherm MIO with either the FLIR AX8 or the A310 camera models is designed to simplify the architecture of multi-camera monitoring systems. This compact device replaces conventional PC and software-based systems with an elegant, easy-to-install, turnkey solution. Even extensive, multi-camera, remote monitoring set-ups are easier to deploy, thanks to MoviTHERM MIO's inherent scalability. Each MIO unit supports up to seven cameras, and systems can be expanded indefinitely, simply by adding more MIO I/O modules to the network. 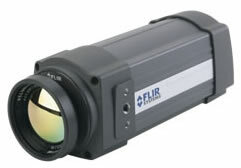 FLIR A300/A310 infrared cameras target safety and automation applications where networking capabilities and compliance with networking protocols is of essence. The infrared cameras can be installed discretely almost anywhere to monitor your business and are ideal for any industry where fire prevention, critical vessel monitoring and fixed-mounted predictive maintenance are important. 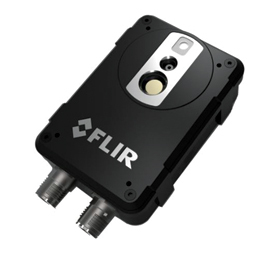 The FLIR A315/A615 cameras targets R&D and automation applications and is a perfect instrument for industries which rely on permanent monitoring of objects that are fast moving or when the temperature changes over time is quiet fast. 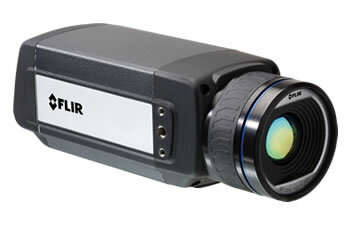 FLIR A315/A615 infrared cameras also comply with standards like GigE Vision and GenICam. 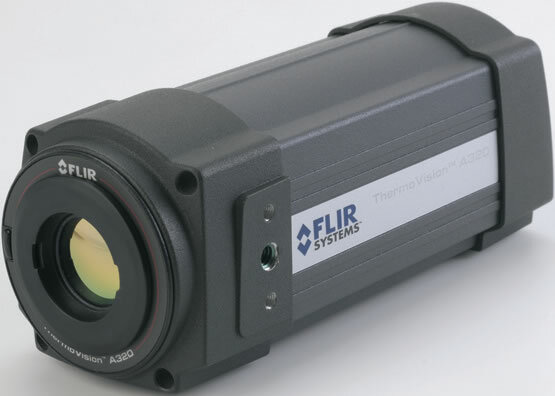 Due to its compliance to standards, the FLIR A315/A615 infrared camera is a Plug&Play device within third parties' machine vision software like NIs IMAQ VisionTM and the MVTecs HalconTM. Examples of applications include PCB testing, validation and design verification within the automotive, medical and power electronics industries.